We had so much important news we sent you 2 emails this October! This is the first in an occasional series of webinars exploring successful collaborations between New York State Family Peer Support programs and other service providers. This webinar will describe the partnership between the Family Peer Support Services program of the Mental Health Association of Erie County, the Tower Foundation, and three hospitals: Bry-Lyn Hospital, Buffalo Psychiatric Center and Erie County Medical Center. Presenters will describe how this partnership facilitates outreach, promotes engagement throughout a family and youth's hospital stay, and supports families when their children are discharged from the hospital. Presenters will offer their perspectives on what has contributed to the success and growth of this collaboration. Target Audience: Providers of hospital (emergency, stabilization and inpatient) services for children and youth; Managed Care Organizations and Performing Provider Systems; Family Peer Support Services (FPSS) providers who are interested in expanding their work to include work with hospitals. Jenny Laney | Director, Child & Family Support Program, Mental Health Association of Erie County, Inc.
Caitlin Neumann | Youth Peer Mentor, MHA Erie County. Visit the CTAC website www.ctacny.com for more information, recorded webinars and information on upcoming events! We need YOU because your voice truly matters. Be a part of the movement! Come learn about YOUTH POWER! and network with young people who are passionate about creating a change in various child serving system such as (Foster Care, Mental Health, Special Education, Juvenile Justice, etc.). We will be asking for input on the YP! Priority Agenda, have guest speakers and more! Please RSVP by October 26th via email, phone, or fax. Get Ready Get Ready Get Ready! The New York City Regional Youth Forum is back. Are you Interested in Youth and Young Adult Advocacy but don't know where to start? J oin the YOUTH POWER! NYC Regional Team. The Regional Team Meeting are for young leaders who are passionate about creating change in their city. Through event planning, attending meetings, social media, etc we promote youth voice and rights. It's a place where young people come together as one. We need YOU every 3rd Wednesday of the month from 5:15pm-6:15pm. YOUTH POWER! 's Ready to Achieve Mentoring Program (RAMP) is seeking caring and dedicated individuals to volunteer one hour a week as mentors for our career focused mentoring program at our current locations in Albany and Ravena. Mentors take the lead in supporting a young person at weekly meetings by participating in career focused discussions, helping youth reach individual career and personal goals, and, at times, leading activities. Mentors serve as a positive role model and friend, and help to build self-esteem and motivation. Mentors receive training and ongoing support as well as have the opportunity to participate in structured activities which are payed for by the program. Millions are going purple on Spirit Day, October 15, 2015, in a stand against bullying and to show their support for lesbian, gay, bisexual, and transgender (LGBT) youth. Spirit Day began in 2010 when a young person, Brittany McMillan, wanted to remember those young people who lost their lives to suicide and to take a stand against bullying. After a string of high-profile suicide deaths of gay teens, GLAAD jumped on board and worked to involve millions of teachers, workplaces, celebrities, media outlets and students going in purple on social media or wearing purple, a color that symbolizes spirit on the rainbow flag. The stand against bullying doesn't end with #SpiritDay! October is National Bullying Prevention Month and the end of bullying begins with you! Make it orange on #UnityDay2015, Wed. October 21st, to send a message of support, hope, and unity to show that we are united against bullying and united for kindness, acceptance, and inclusion. Keynote Speaker: Michael Kennedy, Author, "My Life in Institutions and My Way Out." Also speaking will be YP! 's Board President, Caitlin Neumann. There will be games, films, a panel discussion, a reenactment of the signing of the ADA and much more! While the month of October is synonymous with post season baseball, candy, and changing your appearance through costumes, to millions of others it is a month dedicated to finding gainful employment; educating ourselves and others about employment issues and barriers faced by people with disabilities; as well as celebrating the many contributions of American workers with disabilities. The Ready to Achieve Mentoring Program (RAMP) is taking time this month, along with millions of others, to recognize the 70th anniversary of National Disability Employment Awareness Month (NDEAM). This year's theme for NDEAM is "My Disability is One Part of Who I Am." RAMP, a career focused mentoring program that engages youth in various career exploration activities, is celebrating NDEAM by discussing and engaging youth in "soft skills" training during the month of October. It is important to note that soft skills are critical for success in all occupations and industries. In addition to the soft skills training, RAMP participants had the opportunity to participate in a short educational film on Disability Disclosure in the workplace, targeted toward youth and young adults over the summer. The final video has been used to continue discussions with youth on disability and the workplace: that their experience with disability can offer a competitive edge when it comes to work, when and why to disclose a disability, and that they have the right to be evaluated on their ability, not their disability. It is important for young people with disabilities to know that there are many others who have similar experiences as they do that have contributed to the America that we know today. It is also important that they know that the only person who can define their own limitations is themselves; that they can pursue meaningful careers and take their spot among those who have played an important role in America's educational and economic success if they set their own standards high. NDEAM provides an opportunity for this topic of discussion, although conversations are encouraged all year long. RAMP hopes to end the month long celebration by engaging the community and requesting individuals with disabilities who have been successful in their line of employment to serve as guest speakers and share with youth in the program that disability is one part of who they are. Let this October be the springboard for increased awareness and more opportunities for people with disabilities. The U.S. Department of Labor's Office of Disability Employment Policy offers an online Resource Toolbox for planning events and activities for NDEAM. Click here for the toolbox. Artistic, Risk Taker, Creative Thinkers, Dreamers, Intelligent, Spontaneous, are words that are left out when describing the ADD/ADHD diagnosis. Common terms and sayings we hear are Impulsive, inability to pay attention, hardheaded, disobedient, and just can't follow directions. As young people hear these statements they are made to feel like something is wrong with them. We forget there are beautiful human beings in front of the diagnosis that is seeking guidance and acceptance - not judgment. We must be strength-based to help people embrace their disability and assist them to prevent covering their disability with shame. When I was a child, I was discouraged because I thought differently from others. Something unique I learned about myself was that I saw things from a different point of view but still had a clear understanding. ADD/ADHD is unique. It's not a one-size-fits-all; you have to learn yourself. I began to embrace my disability by learning that I was someone who had to be organized in order to be a productive professional and in my personal life. I encourage you to learn more about ADD/ADHD and don't be ashamed. See yourself as unique and begin to search for what works for you. Less distractions: Keeping my desk clear of things I don't need helps me to stay focus on one task at a time. Time Management: Assigning myself a certain amount of time helps to get multiple things done throughout the day. Preparations: I prep my meals and clothes for the week, clean, and organize so I can be the best me. President Barack Obama Declares October National Youth Justice Awareness Month, and more. Click here for the update. The campaign for Regent's alternatives is both important and backed by many different kinds of advocates; from teacher and family advocates to youth advocates. It is important to have alternatives because not every student learns the same way, and not every student tests the same way. This campaign is often referred to as the Multiple Diploma Pathway Campaign. The most recent big change to high school graduation options is the 4+1 Model. At first glance, the 4+1 Model which was recently approved by the Board of Regents seems simple. Before this change, students had to take one English Regent's, one science Regent's, one math Regent's, and two social studies Regent's. Under the 4+1 model, students will be able to take an exam of their choice instead of the second social studies exam. The options students can pick from for the exam of their choice include a second math, second science, second English, an arts exam, a foreign language exam, or a career or technical education exam. The career/technical exam does require successful completion of a career/technical program. Any student who entered high school in 2011 can use the 4+1 Model whether they have a disability or not. Course-wise, students will need to take the course that matches up to their alternate exam. For example, a student wishing to replace a second social studies exam with geometry must take the geometry course. AP exams also can be used to replace the second social studies. The 4+1 model is one of many options being studied by the Diploma Coalition. This group of organizations from around the state, including YOUTH POWER!, works on making Multiple Pathways a reality. Currently the coalition is writing letters to the Board of Regents in favor of Career and Portfolio options as alternatives to the Regents exams, as well as keeping tabs on what is going on in the Board of Regents meetings. Click here for more information about the Coalition for Multiple Pathways to a Diploma. Congratulations to our good friends at Youth Communication! Stories by teen writers from the magazines YCteen and Represent were broadcast on NPR and THIRTEEN, amplifying authentic and powerful youth voices to thousands of viewers and listeners across the country. Overcoming disability, homelessness, and a mother's death to become an honor roll student. A short film about Johileny Meran, a disabled and homeless Brooklyn high school honor student, was voted a web favorite and aired on THIRTEEN's REEL 13. Johileny's story about graduating as valedictorian of her class, despite the death of her mother, her disability, and a botched operation that landed her in a wheelchair, appears in the latest issue of YCteen. Since graduating from high school, Johileny has received numerous scholarships and started attending New York University this fall. 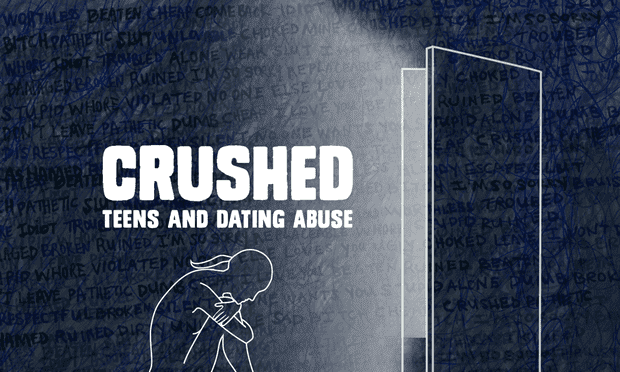 Surviving child abuse and struggling to break out of the "long line of abusers." Represent teen writer BLM wrote of being raised by a volatile and abusive mother, and then finding herself acting like her mother and screaming at her boyfriend. Her story was adapted for a series about teen dating abuse on the NPR radio show All Things Considered where her pseudonym is "Tina." BLM is currently attending college in upstate New York and majoring in psychology. Flying can cause some difficulty to those with developmental disabilities. It is something a lot of people struggle with. Thankfully, the US Department of Transportation has released a new guide to help people with developmental disabilities navigate flying. This guide covers everything from requesting accommodations and what kinds of accommodations you can get, to navigating the airport, checking in, and what happens if you need assistance. It also tells you what to expect during a flight. The NYS Office of Alcoholism and Substance Abuse Services (OASAS) has launched a new public awareness campaign to warn New Yorkers about synthetic drugs. Synthetic cannabinoids, known as synthetics or "synthetic marijuana," can cause dangerous health effects and even death. They are extremely dangerous and addictive according to the National Institute on Drug Abuse (NIDA). Many areas are seeing an increase in hospital emergency department visits due to health emergencies and serious illness associated with synthetic use (OASAS, 2015). The New York State Office of Alcoholism and Substance Abuse Services today announced a new phase of Governor Andrew M. Cuomo's Talk2Prevent addiction campaign. Two new public service announcements (PSAs) are now airing on radio stations across the state in an effort to reach parents and offer them guidance on how to talk to their children about underage alcohol use and substance abuse. The PSAs also will air on popular music streaming services. A corresponding Talk2Prevent digital campaign will help spread the prevention message. "The school year is underway and teenagers and young people across the state can face peer pressure to drink or use drugs,"NYS OASAS Commissioner Arlene González-Sánchez said. "That's why it is crucial for parents to keep the conversation going year-round to help prevent underage drinking and drug use. Parents must encourage their children to make safe and responsible decisions. They can use the Talk2Prevent website to learn more about keeping their kids safe." Exit Strategy , a mother explains how she and her daughter planned a secret code text that will signal mom to come pick her daughter up if she is in a challenging situation that involves drinking or drugs. Speedway , talks about the importance of talking to your children about the risks of underage drinking and drug use to help keep them safe and guide them toward making responsible choices. Nearly 52 percent of New York State students in grades 7 through 12 reported their parents never spoke with them about the dangers of underage drinking (NIDA, 2010). 49 percent of high school students in New York have consumed alcohol within the past 30 days (NYS YDS 2008). For more information, visit the Talk2Prevent website: Talk2Prevent.NY.GOV . Resources include a toolkit for parents including conversation starters, texting ideas and a list of warning signs. It also includes resources for community prevention coalitions across the state. Parents and community members can also visit the Talk2Prevent Facebook page for ongoing resources and information on how to keep the conversations going about underage drinking and drug use. New Yorkers struggling with an addiction, or whose loved ones are struggling, can call the State's toll-free, 24-hour, 7-day-a-week HOPEline at 1-877-8-HOPENY (1-877-846-7369) or text the HOPEline Short Code at 467369. The HOPEline is staffed by trained clinicians who are ready to answer questions and offer treatment referrals. Visit the NYS OASAS website for additional resources, including a list of addiction treatment providers . 6 CEUs available (Psychologists, SW, Counselors, MFT) includes NY State Social Workers. **Scholarships available for parents with financial hardships - email us at mgilbert@iacaf.org with a brief summary (200 words or less) describing your situation and why you would like to attend the seminar. Awarded 2015 Oregon Independent Film Festival Best Documentary for "Social Issues"
KSOC-TV is a web-based technical assistance program featuring behavioral health experts. . This webisode addresses the topic of mental health issues among college students. The panel addresses a range of issues from protective factors that promote positive mental health to access to services to warning signs of someone who may be struggling. The panelists also provide specific strategies on how students, parents, counselors, professors, and campus administrators can support positive mental health among college students. Click here to watch the webisode and review additional resources! Get Involved with National Campaigns! Social media is a great tool to bring awareness in our advocacy efforts. Together, we can amplify our voices! Click on the campaigns below for more information on how you can team up to Speak Up and Speak Out! Want to get more involved in YP! 's Advocacy efforts? You can submit advocacy tips, articles, and more on topics that affect YOU! Team up with monthly, weekly, and national day campaigns and email submissions to info@youthpowerny.org ! Did we miss a campaign or resource above? Let us know!